Lefkada ionian island. Welcome at sea view studios in Vassiliki. Travelling a few kilometers to the south part of the island you will find Vasiliki, one of the most cosmopolitan tourist resorts in Lefkada. The area of Vasiliki is considered as a place of natural beauty because of the crystal clear water, the natural magniflcent beaches, the luxurian vegetation and the scent of the mountain flowers. The village is surrounded by many small bays with golden sandy beaches. Center of attraction is the l.5 km beach of Vasiliki which is one of the best in the Mediterranean for windsurfing but also for all kinds of water sports. From the village you can also walk southwards along the coastal path to the hamlet of Ponti (an excellent choice for walking). 'Afiogili'is a very popular bay with crystal clear water.This beach can also be reached by taxi boat(every 30 min) during the summer season from Vasiliki port. Harbour - The village of Vassiliki is not large, and still retains a lot of it's older buildings. There is a very pleasant harbour front area with pavement cafes, restaurants and ice cream shops. 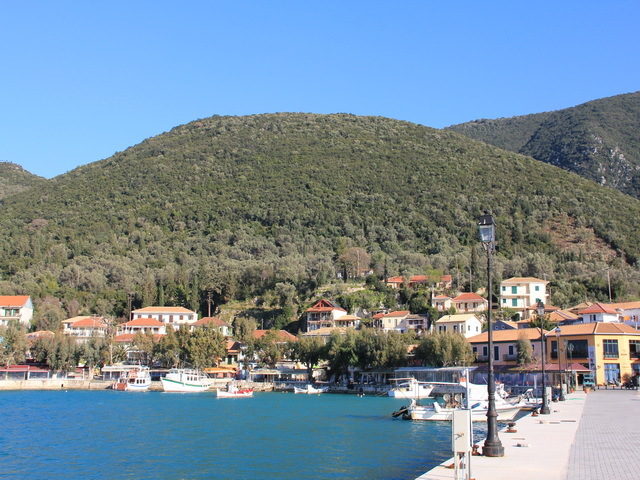 The harbour is a popular stopping off point for yachts and flotillas, and is also a boarding point for the ferry to Kefalonia and Ithaka in the main summer season. Services - There are several bars, tavernas and restaurants, and one disco. There are no banks, but there are two ATM's and money can easily be exchanged at the local travel agencies. Other facilities in the village include a Police Station, Medical Centre, Post Office, Bakery and Petrol Station. 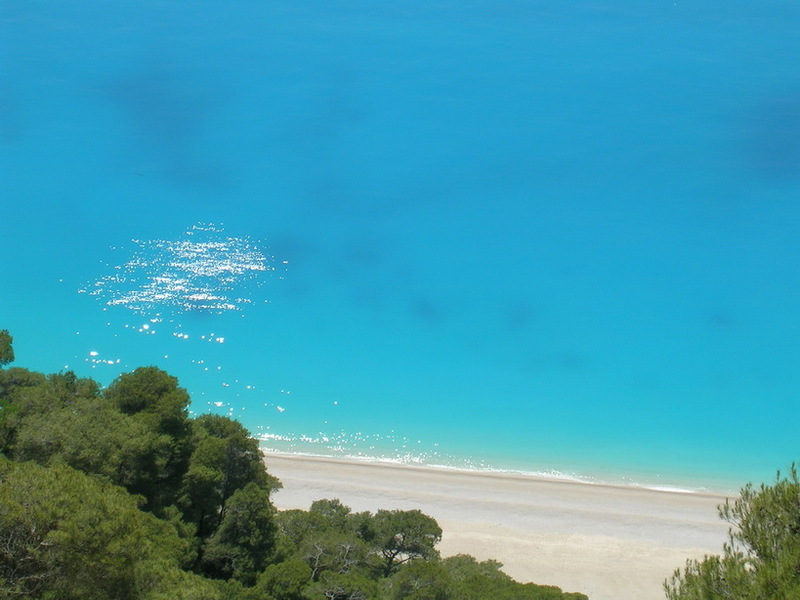 There is a public bus service to Lefkada Town, which varies in frequency throughout the year. "Vasiliki Blue" studios are within short distance to all interesting sights, shops and beaches.